When a 4,000 pound (1,815 kg) captive killer whale found himself in the middle of an international custody battle, his case became another in the long line of marine mammal theatrics being played out in courtrooms in the U.S. and abroad. On September 28, an Ontario Court of Appeal upheld an earlier Superior Court decision ordering MarineLand of Canada to return the 17 foot (5.2 m) male orca Ikaika to SeaWorld in the United States. He was on a breeding loan to the Niagara Falls marine park. 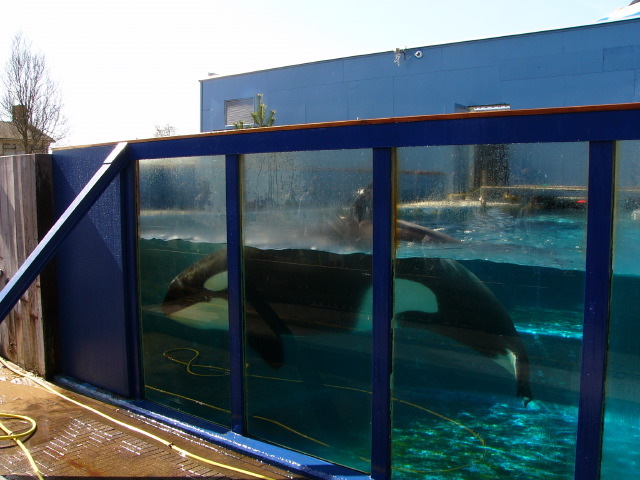 SeaWorld requested termination of the loan contract and asked MarineLand to return Ikaika “Ike” back in December, 2010, citing they were concerned with his “physical and psychological health”. MarineLand officials disagreed with SeaWorld’s assertions as well as the terms and understanding between the two parties. This led to the court battle. NOTE: For more on this story, read our July report “SeaWorld vs MarineLand. Killer Whale Ikaika Caught in International Custody Battle”. 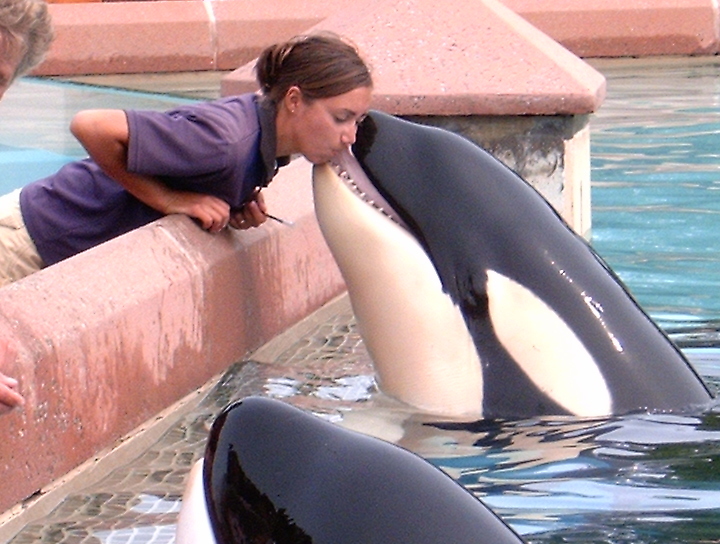 Ike was taken from his mother at SeaWorld Orlando at the young age of 4 to breed with MarineLand’s killer whales. However, two of the three females died of “unknown” causes since his arrival in November 2006. With the passing of Athena (age 4) and Nootka 5 (age 32) this left Kiska (now 36) as the lone female. She has been at the Canadian facility since her capture in Iceland in 1979 and is the longest-living and soon-to-be sole orca in their care. Since the early 1970’s, 17 orcas have died at MarineLand with an average age at the time of death just a little over 8-years-old. Over the same period SeaWorld has lost 36 orcas at its 3 U.S. parks with an average age just under 14-years-old. It is known that in the wild, male orcas live an average of 30+ years and females 50+ years. Many also live well into their 80s, 90s or longer. Giving these statistics, the battle pitting these two marine parks against each other show that orca care, health, education and conservation are not at the top of any marine park’s agenda. This multi-billion dollar industry has literally been riding on the backs of these highly intelligent and socially complex mammals for many years. In an odd twist, in its case against MarineLand, SeaWorld used many of the same arguments about Ike’s care and the detrimental effects of captivity as those that are evident at all marine parks including their own. Their concerns about Ike’s poor dental health, infection, bacteria, stress, breeding, compatibility, aggressive behavior, trainer safety, etc were entered into evidence to persuade the court to release custody of Ike. These very same problems exist at all of SeaWorld’s parks. The courts, however, were not compelled to look into these aspects of the case, instead were focused on the contractual obligations of the breeding loan which indeed shows SeaWorld has the right to terminate the contract. Ike’s future and final destination is still unknown as MarineLand weighs their legal options. The Appellate Court’s decision is a small victory for SeaWorld… but comes at the expense of unveiling details they presumably would prefer to be kept secret. Beyond Ike’s custody battle, the problems that plague orca captivity, including those in SeaWorld’s own parks are being unveiled and played out in the courts and media across the globe, exposing the inner-workings of the marine mammal industry. 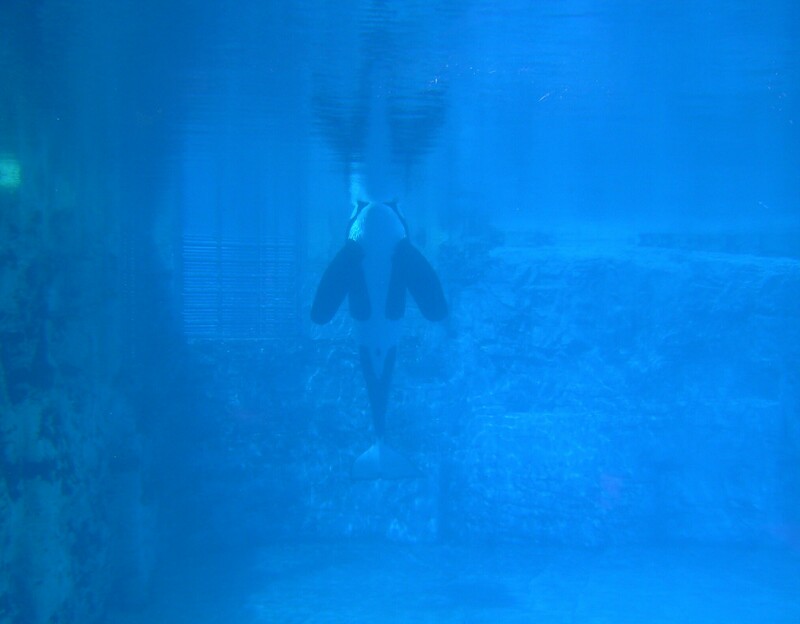 SeaWorld is currently embroiled in the ongoing case against the Occupational Safety and Health Administration (OSHA) following the death of orca trainer Dawn Brancheau in February 2010. The first round of the SeaWorld vs. OSHA hearing concluded two weeks ago and will resume mid-November. The details of orca/trainer safety is being played out before an international audience with unprecedented testimony from SeaWorld officials, past and present employees, and marine mammal experts. They are also finding themselves in another local case questioning the marine park’s ethics. A lawsuit filed against SeaWorld of Florida by a local business charges 11 counts including Breach of Contract and Duty of Good Faith and Fair Dealing, Deceptive and Unfair Trade Practices, Unfair Competition, Misappropriation of Trade Secrets, Conversion, Negligent Misrepresentation and Constructive Fraud & Civil Conspiracy. The Complaint by Revere Entertainment Studios, which pitched numerous design suggestions to SeaWorld executives, alleges, among other things, that they misappropriated Revere’s trade secrets in the development of SeaWorld’s theme parks, including SeaWorld Orlando, Busch Gardens, Aquatica, and the proposed Worlds of Discovery Dubai. Another international court battle has also been ongoing in the Netherlands. A juvenile female orca named Morgan, rescued off the Dutch coast, is enmeshed in a custody battle pitting government agencies, animal rights organizations and the marine park industry against one another. She is being sought by SeaWorld to add to their genetic pool at Loro Parque in Spain’s Canary Islands. 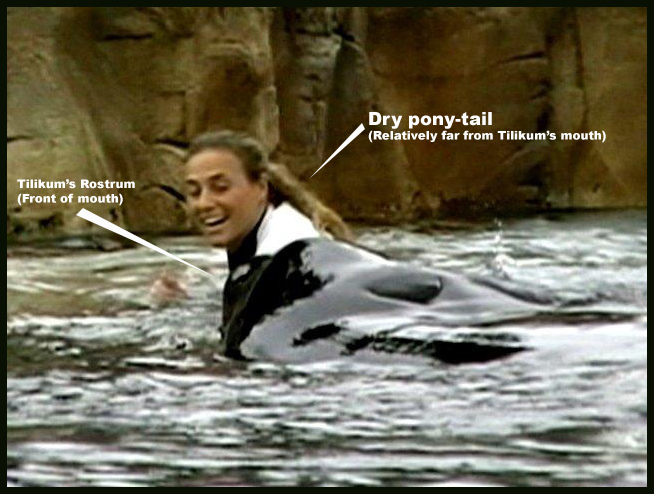 NOTE: This particular marine park has also seen its own recent controversy– Keto, one of 5 orcas on loan to Loro Parque from SeaWorld, killed trainer Alexis Martinez just 8 weeks prior to the death of Dawn Brancheau with eerily similar brutality. The details of that story can be found HERE. Recently, the Dutch government blocked the export of Morgan to Loro Parque and will review comprehensive plans to reintroduce her to the wild. For the time being she will remain in Harderwijk Dolphinarium where she has been housed in a tiny tank since her capture in June, 2010. The details of her release plan are currently being refined following reports that her family may have been located. With SeaWorld’s claims of rescue, rehabilitation, education and conservation, will they be there with staff and financing to help with Morgan’s rehabilitation and reintroduction to her family? Let’s hope so. But we won’t hold our breath. They have continuously shown that their only interest in Morgan’s future is in adding her to the genetic pool to increase their breeding diversity. SeaWorld… the case has been proven about the negative effects of orca captivity. With your multi-billion dollar backing, you have the opportunity here to finally make a difference in the life of one orca and win praise from both sides of the captivity debate. Please do the right thing and get behind Morgan’s release plan and reconsider the future of orca captivity. These magnificent beings deserve so much more. Awaiting a favorable response from you. Morgan is going to loro park! Secretary of State Bleker has announced that orca Morgan may not go back to her family which have already been localized in Norway, but must be exported to the animal park Loro Parque in Tenerife. Again he leaves the future of Morgan determined by the commercial Dolfinarium. 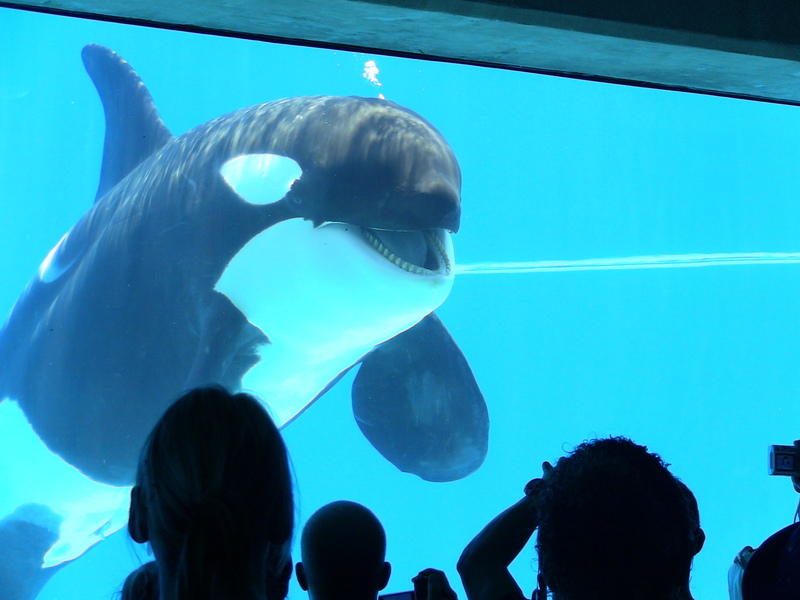 The Orca Coalition wants to appeal to yet again have a judge to look at the case. However, they can only do this if they have enough money for this procedure. They have already proved that the Ministry is not objective in this case, and that a judge is needed for an independent judgment. They have adduced sufficient evidence in recent weeks to show that release is possible, and how bad the situation is in Loro Parque. They have the facts on there side. To all who want to avoid this future for Morgan, an urgent appeal is done to make an additional donation to the Orca Coalition to pay for the procedure. I’m very glad to hear that plans for Morgan’s release are being seriously considered. 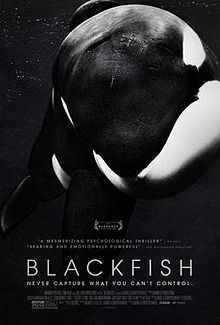 If they are sucessful, she could be held up by conservationists as proof that rehabilitating captive orcas is possible.